time of year affects you almost as much as it affects your kids. 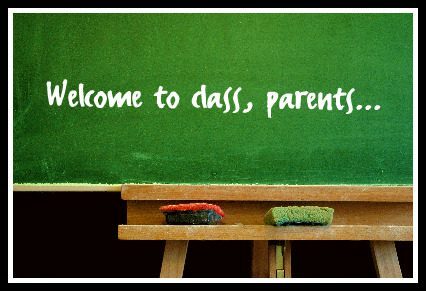 They may be returning to classrooms, homework, and friends, but you’re also returning to the parents-of-schoolkids life. Who says kids are the only ones who deserve coping skills for this transition? You do too! Set the right tone from the beginning, and be consistent! School should not equal drudgery, fear, or anxiety. How you view school, and how you convey that view to your kids, profoundly affects their feelings about learning, their teachers, and their purpose. Always speak of school as an exciting world of opportunities. Help kids see their teachers as allies who are there to help them prepare for their futures. Don’t make statements that imply that the fun is about to end as school starts. Think about it, school is where kids spend the vast majority of their time. Why would you want to paint a negative picture of their day? Carve out a special time and place each day for study, review of the day’s learning, and reflection. Never let your children tell you they have no homework or nothing to do. Teach your kids that daily review of notes and quiet time to absorb them is crucial to learning. Cramming may get them a decent score on a test, but it won’t lead to true understanding. Always emphasize that learning is way more important than test scores. The irony is that if you emphasize learning, the test scores will follow. Even without review, quiet reflection is good for everyone and gives your kids a chance to decompress. Insist that there’s more to life than academics. If you want your kids to enjoy their school years, those years have to be comprised of more than just classes and homework. Make sure your kids have time for recreation, physical activity, and ways to use their brains outside of traditional learning. Whether it’s through chess, art, theater, music, sports, or clubs, kids need to learn the importance of a balanced life. Some of us live our entire lives without grasping that elusive concept, and we pay the price with health problems and depression. If they learn it when they’re young, they’re much more likely to incorporate it into their lives. This is the tough one: Model these lessons in your own life. Yes, you have homework the minute school starts, beyond carpooling, and well, helping with homework. Your job is to show your kids that the same expectations you have for them also apply to you. That means you should approach your job with positivity and a dedication to lifelong learning. It means that you should have your own time each day for quiet reflection, review, and preparation. It means that you should model balance in your own life by seeking out physical activities, friends, and interests and hobbies. We’ve all figured out by now that kids are much more likely to mimic what we do rather than what we say. So your job, parents, is to walk the walk. Just as you try to show your kids what good morals and ethics look like, you need to teach them what being a good student looks like. They need to see your actions back up your words, so consider this new school year a new beginning for you as well. Find the joy in your job, make time in your day for quiet reflection, and pursue at least one new interest that takes you out of your work routine. If you make only those three changes, your life will change for the better, and not only you, but your kids, will have a fantastic new school year! For everything you need to know about having a great school year, check out Teenagers 101.